I have some strong memories of food from my first trip to Penang (Malaysia) in November 2012. Frau Hallo made sure that I tried every eatable thing. 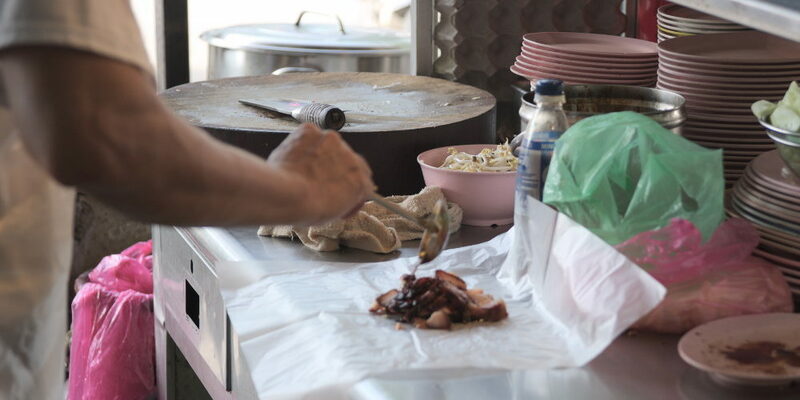 One of the many highlights was char siu (BBQ pork). Since then, one of my all time favourites. Char siu is one of the easier recipes we tried so far. 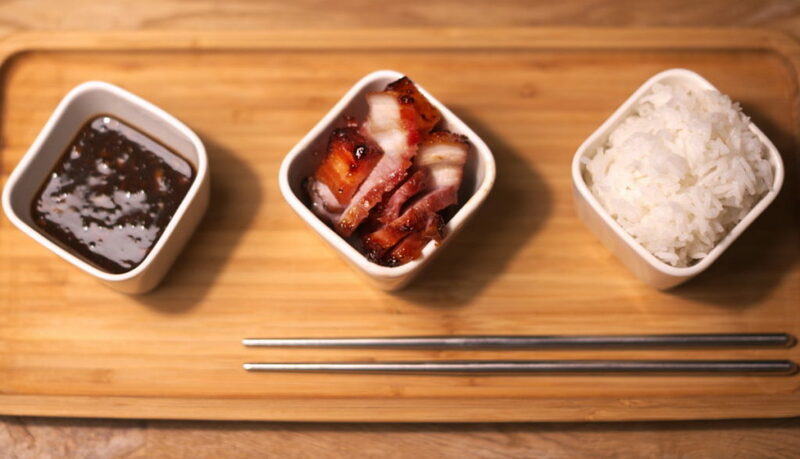 All you need are some basic ingredients such as pork belly, soy sauce, dark thick soy sauce, oyster sauce, Shaoxing wine, five-spice powder, garlic, sugar, honey and some patience. If you happen to cook Asian food from time to time, the chance is high that you already have the ingredients needed to marinade the pork. We used this recipe from Bee (Rasa Malaysia) as base, but used half amount of sugar and skipped the fermented red bean curd. 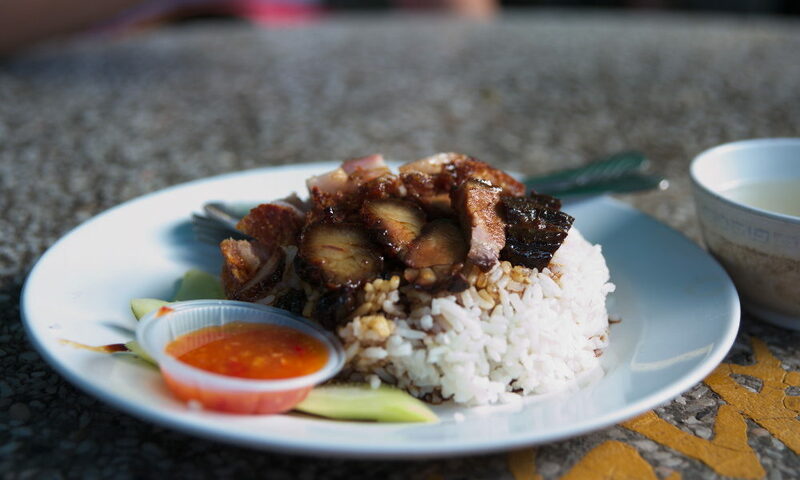 We had this pork after our visit to Penang hill, near the valley station. It came with steamed rice, sweet chili sauce and cucumber slices. This is one of the best char siu I’ve had, ever! Keep the pork in the fridge and marinade for about 24 hours. Bring it to room temperature before tossing it on the grill / into the oven. Till next time! Happy cooking.